Notes: An early immigrant from Europe with the Spainards. 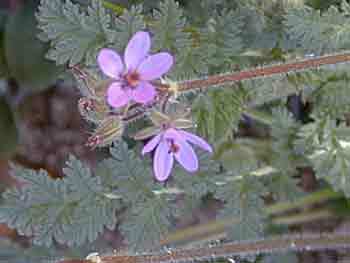 Now naturalized in the southwest. 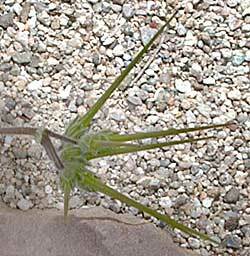 Filaree entry in the online edition of An Illustrated Guide to Arizona Weeds , Kittie F. Parker, University of Arizona Press.